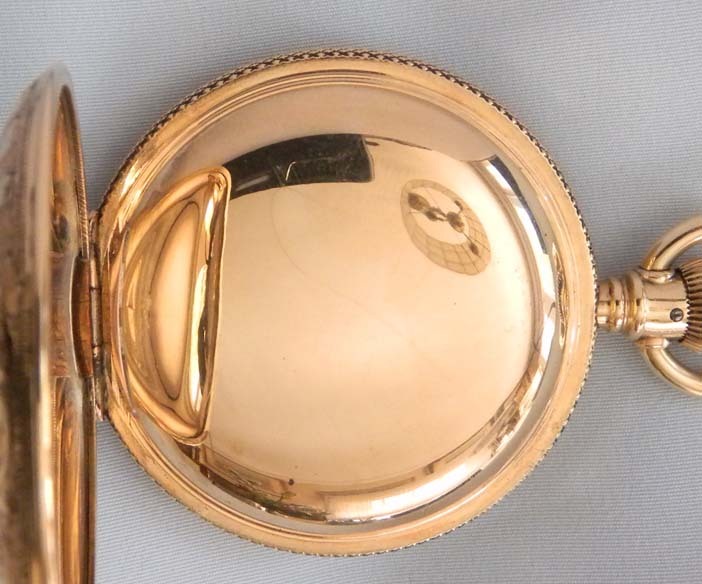 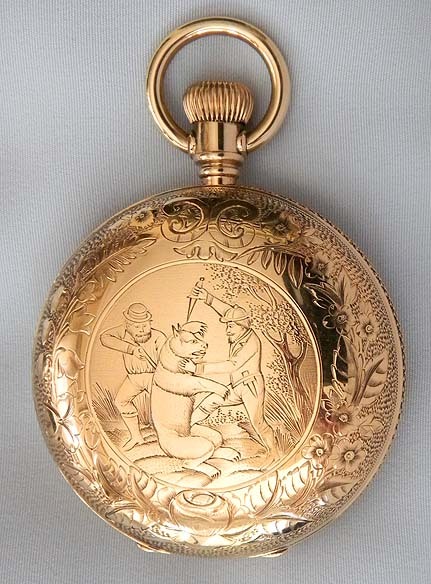 Fine and rare gold filled Elgin 18/S antique pocket watch with an engraving of a bear hunt on the cover and a outdoorsman dial, circa 1884. on the back. 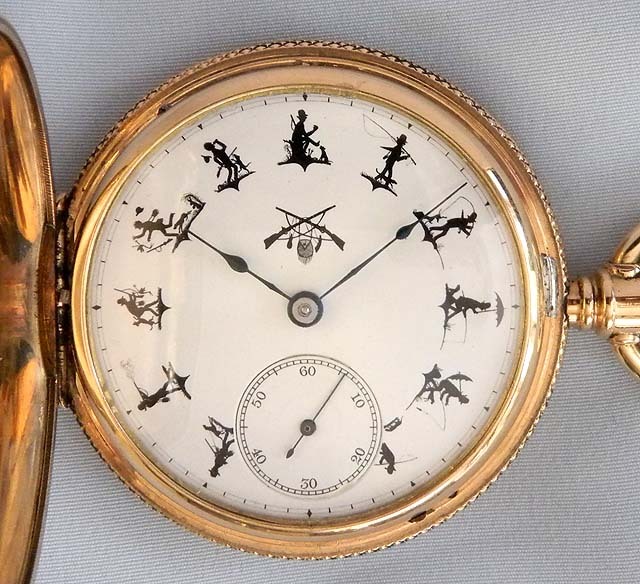 Possibly unique white enamel dial with humorous outdoor hunting and fishing scenes in place of numbers. 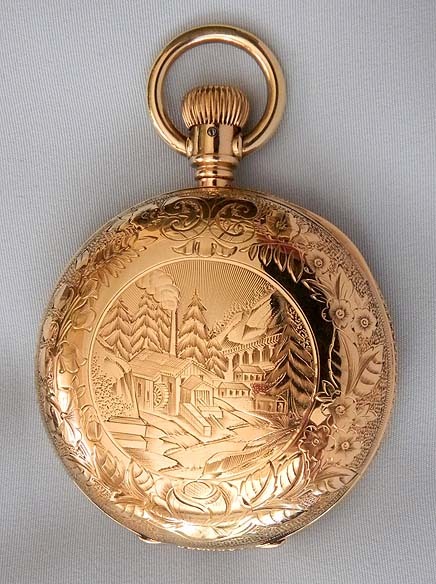 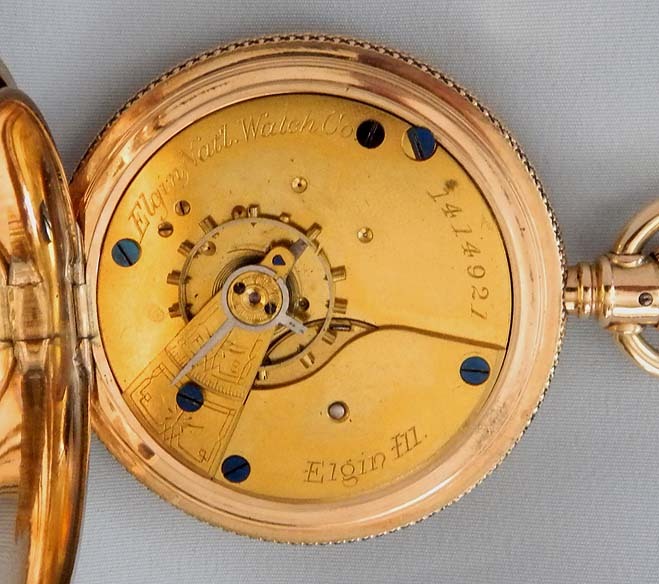 Gilt 7 jewel movement.